Capturing Jenny Mollen for Mini Magazine was honestly one of my favorite photo shoots to date. I feel so incredibly fortunate to have the career I have and the opportunities to meet such cool women. Jenny was as genuine, and a total sweetheart as it gets in my book. I not only loved her home, I mean how cool is her artwork and her office space, but she was just so lovely to work with, and not to mention just a beautiful person inside and out. It really was such a fun project to work on, thank you so much Mini Magazine for asking me to be a part of this incredible opportunity. You can see the entire article here and it starts on page 92. P.S., I love love following her on Instagram, she is so real and hysterical! 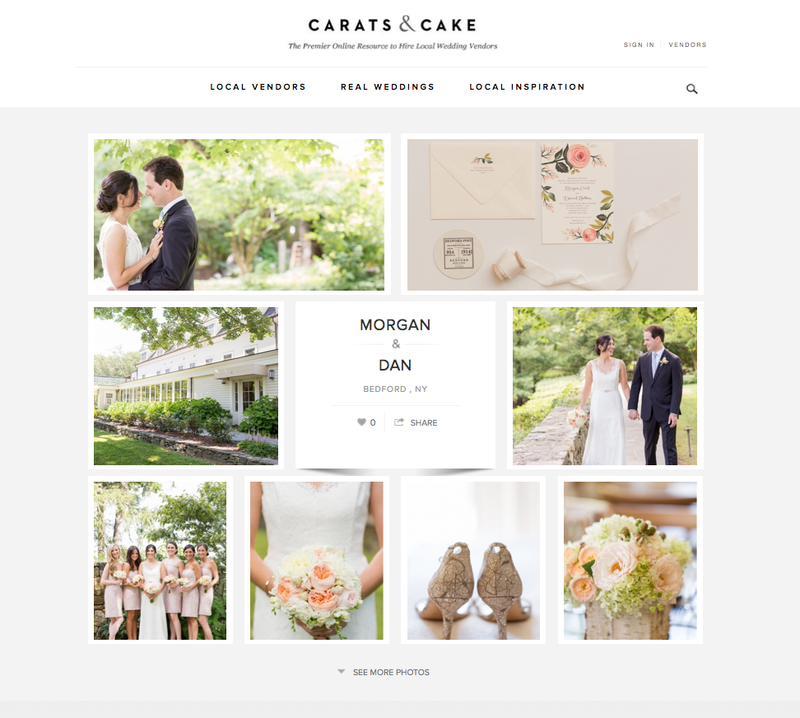 I am so thrilled to see Johnny and Deborah’s Wedding featured on Carats and Cake! You can see their full Wedding Post here, it was such a beautiful day at Frankies 457 for this sweet couple, and I adore their custom invitation suite by Rifle Paper Co! Thanks again Carats and Cake! 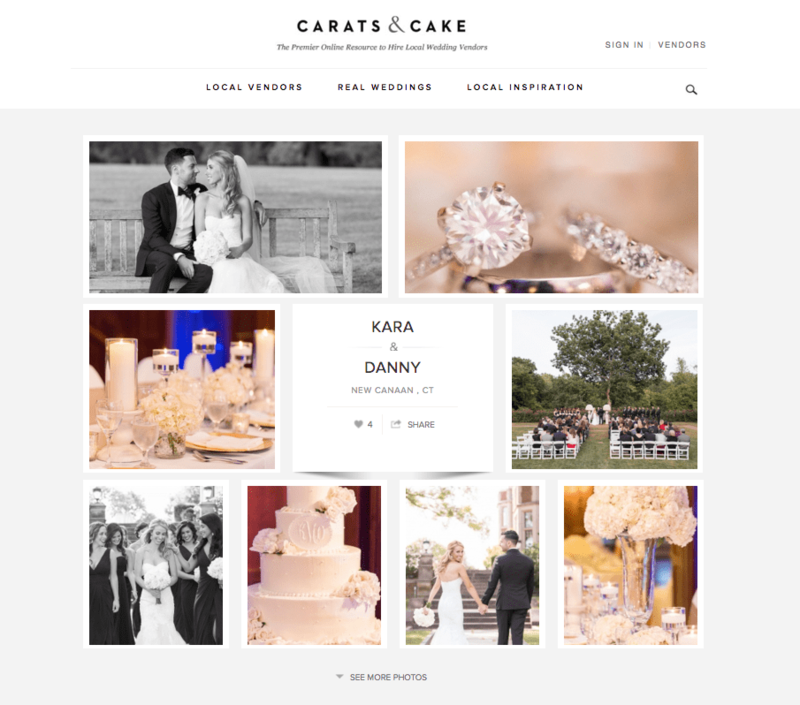 I am so thrilled to see Danny and Kara’s Wedding featured on Carats and Cake! You can see their full Wedding Post here, it was such a beautiful day at the Waveny House for this sweet couple! Thanks again Carats and Cake! 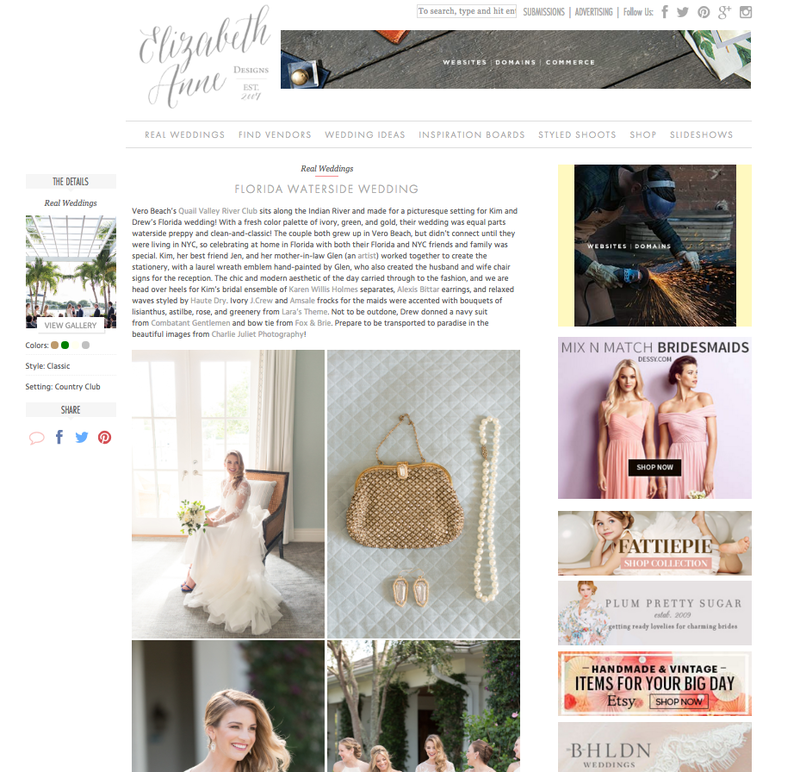 Thanks so much Elizabeth Anne Designs for featuring Kim and Drew’s elegant, waterside wedding! These two stole a little piece of my heart and I am forever grateful I got the opportunity to capture their big day! Stay tuned for more images from their gorgeous Florida wedding! I have been so excited to share this wedding and I am so thrilled to see it live on Brides! YAY! This is one of my favorite Fall Weddings and Collin and Sara were such sweethearts to work with! It was truly a stunning wedding and such a perfect location for all their family and friends! Stay tuned for more images from this lovely day, but for now check out the Brides Feature, I am still pinching myself. 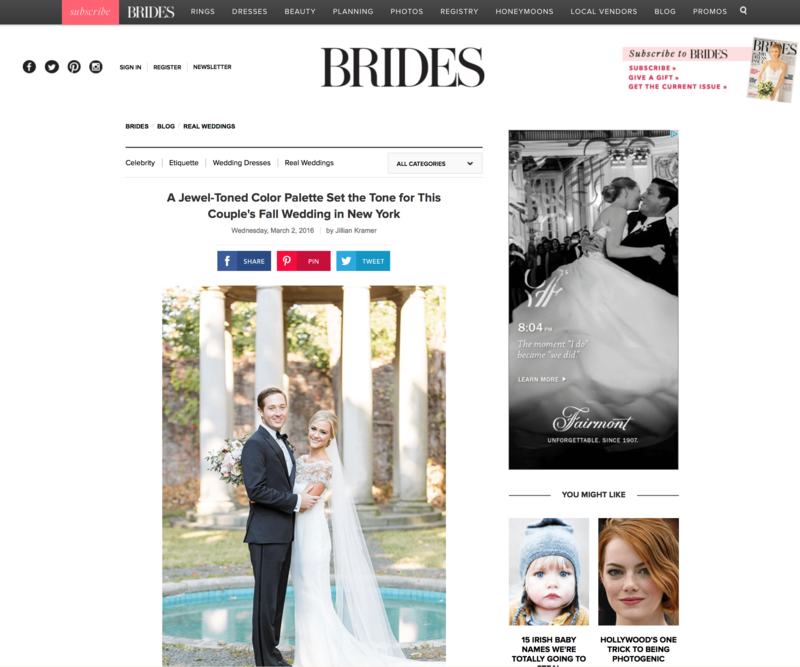 Thank you again Brides for the beautiful feature! The Bedford Post Inn is truly a gorgeous venue and I am so happy I got the chance to capture Dan and Morgan’s beautiful August wedding! These two who currently live on the West Coast picked the perfect location to get married and it was a beautiful celebration! Thanks so much Carats and Cake for featuring their special day! Stay tuned for more images from Dan and Morgan’s Wedding! I am so fortunate to work with Project Nursery on so many fun and exciting projects and I am thrilled to share this new announcement! Project Nursery just launched it’s very own Baby Monitor and yours truly photographed the adorable baby for the packaging! I can’t wait to get my hand on one of these, of course when the timing is right and I need a baby monitor! 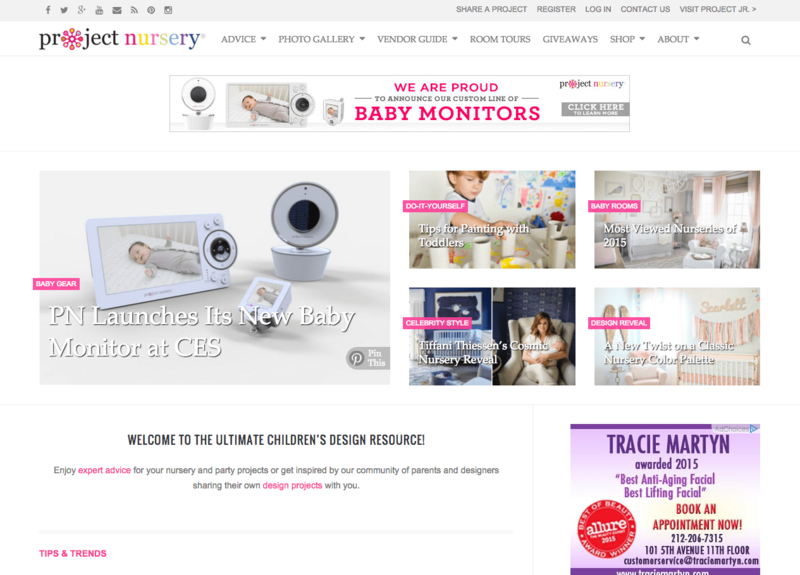 Congrats on the launch Project Nursery! 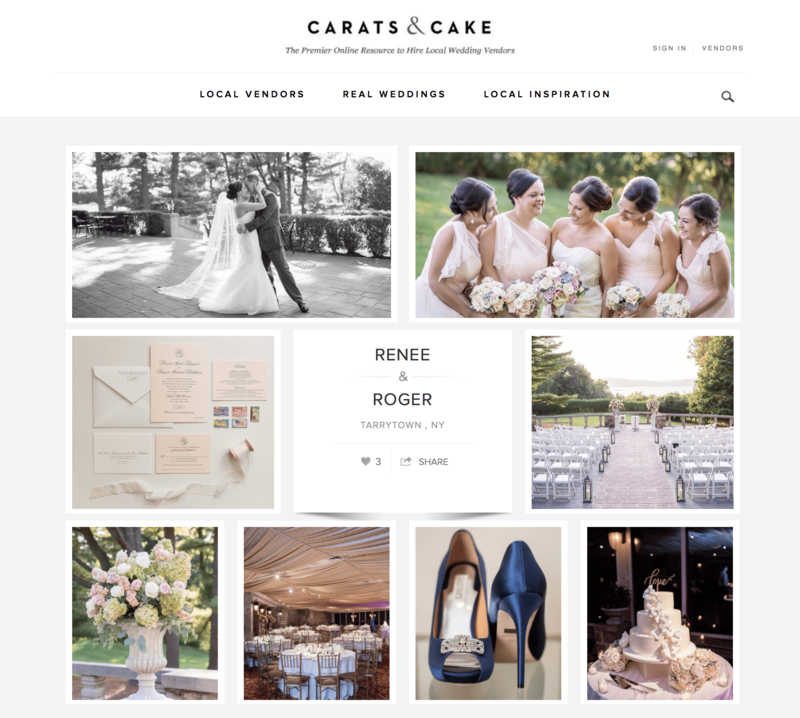 Thanks so much Carats and Cake for featuring Roger and Renee’s gorgeous Tappan Hill Mansion Wedding. What an amazing Fall day for this sweet couple! Stay tuned for more from Roger and Renee’s big day! 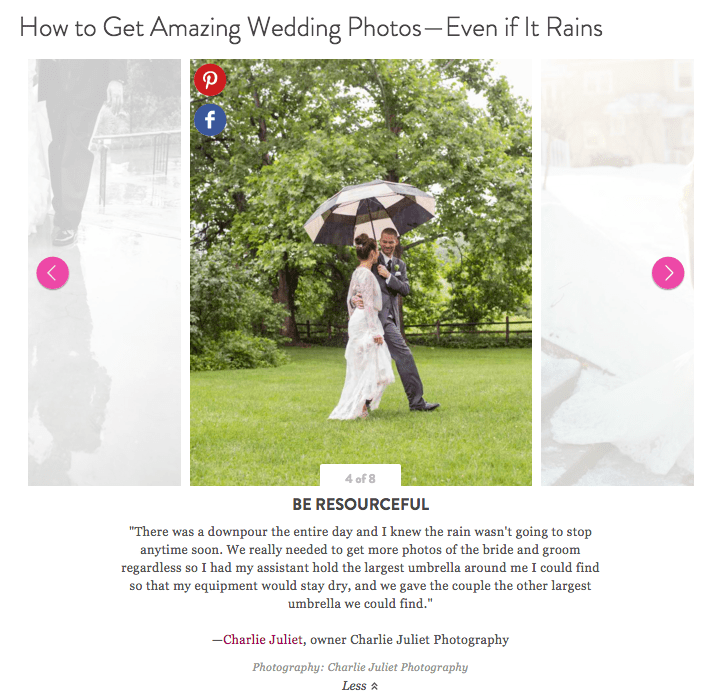 Martha Stewart WeddingsHow to get amazing Wedding photos, even when it rains. Thanks so much to Carats and Cake and Martha Stewart Weddings for including me in this round up of best tips to use mother nature to your advantage on the wedding day! Even though it rained the entire day for Raquel and Jason’s big day, we got some gorgeous photos walking around Crossed Keys Inn. Umbrellas can definitely make for some really romantic and fun portraits when mother nature decides not to cooperate! Copyright © 2019 Charlie Juliet Photography.